I am a female therapist working with a young woman in her 20’s. She has an opportunity for a promotion which would involve business travel a couple times a month, and would be a good career move for her. However, she is considering turning down the promotion because she helps her parents care for her grandmother who has many health problems. It’s hard for me to see my client sacrifice her professional success for this family obligation. How can I help her with this decision? This is an example of the influence of cultural values in psychotherapy. You and your client are both female, but you may be different in other cultural identities such as age, ethnicity, social class, sexual identity, religious affiliation, and immigration status. Our values and our views of relationships are shaped by the combination of cultural factors that make up our identity, and these differences between you and your client lead you to different cultural values. The topic of cultural issues in psychotherapy is covered in Chapter 4 of my book. It is important for you to recognize that you have formed an opinion about what is best for your client based on your values, but she is letting you know that she views her situation differently. Assuming that she needs to come around to your point of view interferes with the understanding that can develop when you are curious and interested in her perspective. Take time to encourage her to explore and reflect on the values she is expressing by pursuing a career and by caring for her grandmother so she can become more clear about the dilemma she is facing. As you are more open to considering her point of view, you will be able to empathize with her complex feelings and to support her making a decision in line with what is most meaningful to her. Be aware that your client may be making assumptions about what is and isn’t acceptable to her family, and she may not have discussed her decision openly with her family. Our beliefs about ourselves and relationships are often internalized early in life and may not be fully within her awareness or part of recent family conversations. 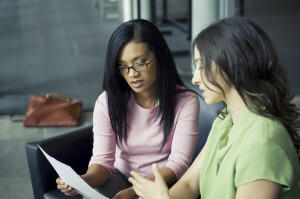 Once you have helped your client become aware of her values, you and she can examine them together to see the extent to which they inform her decision. It may also be useful for her to talk with others in her cultural community to see whether there is more diversity of opinion than she assumes or than she believes based on her individual experience in her family. Getting consultation, especially from someone who is familiar with your client’s cultural influences, will be helpful in managing your feelings as she arrives at her decision. In addition to your client’s values, examine the practical issues that may influence her decision to take this promotion. The immigration status of her parents and grandmother, the family’s financial resources, and the presence of other support in the community are all factors that may make it more or less difficult for your client to prioritize her career, if that is what she wishes to do. It may take time for her to disclose some of these details to you, depending on the extent to which she holds cultural values that consider such matters as private, not to be shared outside the family. This career decision may be the beginning of numerous situations your client will face and need to discuss in therapy. Whatever she decides about this promotion, continuing to talk with her about her cultural values will be helpful in her developmental progress. It is likely that she will face similar choices in the future as she navigates her career and family commitments. If you recognize your values and assumptions as culturally influenced and develop an authentic interest and curiosity in your client’s perspective, the therapy is likely to develop into a deeper and richer relationship. You have an opportunity to provide your client with the experience of empathy, understanding, and respect that will build her confidence in making this and future decisions. If you’re interested in reading more about this and related issues, click here to order from Amazon or here to order from Routledge. This entry was posted in Cultural Issues and tagged Cultural Influences, cultural issues, Practicum Training, Psychotherapy, Therapist in training on July 16, 2017 by Diane. This question highlights the way in which generational differences can enter into therapy. When we work with individuals who are separated by one or two generations from us, we need to be aware of the age-related psychological issues facing our clients as well as the cultural differences that exist between us. Starting with the psychological issues facing your client, she may be facing a high degree of loss and grief related to each of the risk factors you mention: limited income, living alone and lacking contact with others. Find out whether there were significant changes in your client’s life in the two to five years before she became depressed. If so, she may still be grieving the loss of income and financial status, the death of a spouse or close friends, and/or facing health problems that reduce her mobility. Even if these risk factors were present before she became depressed, she may have become less able to stretch her budget, participate in social activities or function independently as she ages. If you haven’t given her an opportunity to talk about feelings of loss or offered your empathy for her grief, I would suggest doing so. She will need to feel understood emotionally before she is ready to follow your suggestions about other resources that might help to improve her depression. Another set of psychological issues arises in the fact that your relationship with your client mirrors a parent/child or grandparent/grandchild relationship for both of you. On your side, your frustration and discouragement probably include feelings you have about your parents or grandparents who faced or are facing some of the same issues as your client. Talk with your supervisor and therapist about these personal relationships to gain a better understanding of your countertransference. On your client’s side, working with a therapist who is young enough to be her child or grandchild exacerbates the sense of invisibility and devaluation she may feel as an older person in a culture that equates youth with worth. Your suggestions may feel condescending or invalidating if you are assuming you know more than she does about her experience and needs. Moving to a cultural perspective, your client’s values and world view are different from yours due to the generational differences between you. Your client was a child during the Great Depression and World War II, came of age during a time of nationwide financial expansion, and experienced the civil rights, anti-Vietnam War and feminist movements as a young adult. Her experience of technology has spanned the period from radio and black-and-white television to internet and smart phones. It is a mistake to assume that she is comfortable, either emotionally or technologically, using online resources to reduce her social isolation. Her agreement with your suggestions may reflect a deferential attitude toward professionals who hold positions of authority, based in the values of her generation. Viewing your relationship as a cross-cultural one may help you to bridge your differences and approach your client with curiosity and interest. I hope you find these suggestions helpful in working across generational differences in therapy. Please email me with comments, questions or suggestions for future blog topics. This entry was posted in Cultural Issues, Therapeutic Relationship and tagged differences, generational, geriatric client, Psychotherapy, Training on June 7, 2015 by Diane. The intersection of the personal and professional life of a psychotherapist can happen at any time, but it is more likely when we live and work in the same community. It is also more common when the therapist and client are members of the same cultural community and may have shared interests, activities and acquaintances. Even when we maintain boundaries and refrain from disclosing personal information about ourselves, it is impossible to avoid all situations in which clients view aspects of our personal lives. The experience of myself and my colleagues includes seeing a client while shopping with a spouse or children, working out at the gym, going to back-to-school night, and having dinner with friends or family. It can feel burdensome and intrusive to be faced with these situations, but it is a reality of being a professional, especially when your community is small geographically or culturally. 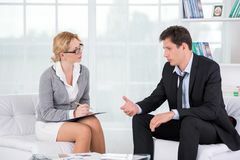 When you see your client outside of a therapy session, you are still the therapist and your interactions should maintain the same level of professionalism. Since our preferences about the degree of separation we maintain are based in part on our cultural identities, the nature of your conversation and the strategy you use will be different based on the cultural expectations and norms for you and your clients. Discussing this with your supervisor is important, to make sure you are keeping appropriate therapeutic boundaries within the cultural or cross-cultural context of the therapy. Generally, it is best to keep conversations in a social or public situation short and cordial without disclosing more about yourself than is disclosed by the situation. You also need to maintain confidentiality regarding your role as the client’s therapist if others are present during the conversation. This may mean asking your family members to wait for you to introduce and include them in a conversation with someone unknown to them. It is usually best to not include family members in a client conversation and it is a good idea to explain the reasons for this to them in advance, as a general issue regarding your role as a psychotherapist. At the beginning of treatment, you can sometimes anticipate that you and the client may see each other outside of your therapy sessions. Examples are when your children attend the same school or when you and the client belong to the same religious, political or professional organization. When you recognize this possibility, it is often useful to have a conversation ahead of time with the client after discussing the issue with your supervisor. I recommend not taking initiative in greeting the client in a public setting, unless there are diagnostic or cultural issues you discuss with your supervisor that make another approach more appropriate. I generally begin this conversation with a statement like “I’m aware that we both attend the same meditation center, so it’s possible we will see each there. If that happens, I won’t acknowledge knowing you unless you approach me. I want you to do whatever is most comfortable to you at the time.” I then respond to the client’s questions or comments. If you see a client unexpectedly, I still recommend following the client’s lead in acknowledging that you know each other. She/he may choose to simply make eye contact, may greet you with a simple hello or may start a conversation. If there are others with the client, do not make any reference to your therapist/ client relationship unless she/he does so. If the client does introduce you as her/his therapist, stay away from any discussion of the therapy itself. It is also possible she/he doesn’t notice you, which has been my experience at times and is another reason to not initiate contact. 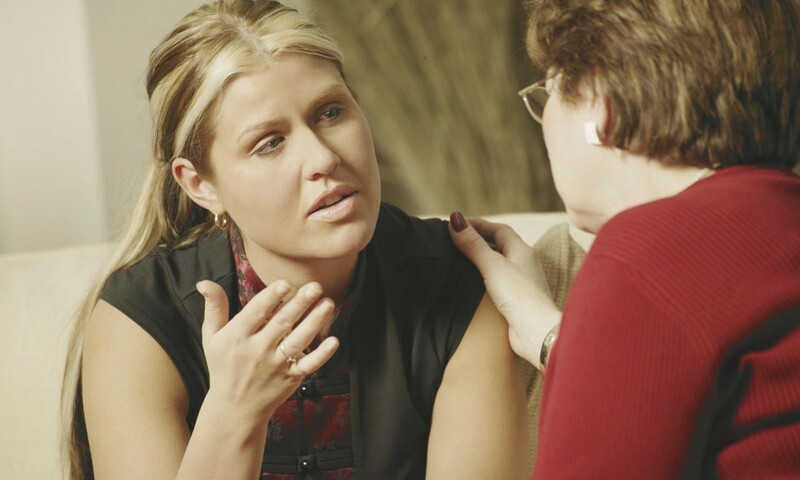 I recommend talking with the client in the next session about any interaction you have outside the therapy. It is helpful to ask the client what it was like to see you and what thoughts and feelings came up during or after your interaction. If you saw the client but she/he didn’t acknowledge seeing you, you can preface your comment by saying “I’m not sure if you’re aware that we were both shopping at Safeway on Saturday.” You can include an explanation of your practice of waiting for the client to acknowledge knowing you, if you haven’t already discussed it. In your discussion of the client’s reactions, be aware of what the client learned about you and how that knowledge may affect your therapeutic relationship. For example, the client may have seen your spouse, partner or children; may have seen you with a glass of wine at a restaurant; or may know what movie you saw or what purchases you made. These interactions may be relieving, distressing or meaningful in different ways depending on the client. I hope you find these suggestions helpful in handling interactions with clients in a public or social context. Please email me with comments, questions or suggestions for future blog topics. This entry was posted in Cultural Issues, Preparation and Supervision, Professional Identity and tagged Intersection of personal and professional lives, Practicum Training, Psychotherapy, Running into therapist, Therapy, What to do when I see my client in public on September 29, 2014 by Diane. The increasing use of social media by therapists highlights one way in which our personal and professional lives intersect. A starting point for creating more separation between the two is to maintain control over access to your profile and posts by choosing more restrictive privacy settings. However, this may be in conflict with your professional goals on a site like LinkedIn where your goal is visibility and access for colleagues and other behavioral health professionals to find you. You’ll need to balance your desire for privacy with your desire to be visible to the professional community in deciding how to restrict access to information about you on Facebook, LinkedIn, Twitter, Google Plus and other social media sites. Your question suggests that you are thinking about talking with your client about this issue and are aware the conversation may be difficult. It is preferable to have a standard policy regarding all electronic communication including social media and to talk about this when you begin treatment. If your agency doesn’t have such a policy, you can talk with your supervisor about the advisability of bringing up the subject in the first session when you talk about other issues related to your client’s privacy and confidentiality. When this issue comes up after treatment is underway, there is some risk that the client will experience your desire for privacy as a personal rejection; however, being aware of that risk will help you talk with her with sensitivity that minimizes her feelings of rejection and hurt. Keep in mind that your client may have cultural expectations about personal contact and disclosure that are different from yours and this is important to acknowledge and discuss. I recommend being straightforward with clients about all issues related to boundaries and limits, whenever they arise. This includes acknowledging that the boundaries are often based on your needs and preferences. In this instance, you might say something like “I realize I neglected to talk with you at the beginning of our treatment about my preferences for social media. I prefer to keep my social media presence limited to personal friends and professional colleagues. I don’t respond to client invitations or other communication on social media sites, and my privacy settings limit the information clients can see about me. I’m happy to talk with you about how this feels to you, since my preference may be different than yours. I also think it’s important that we talk about what you saw about me and what reactions to you had to my profile and post.” This communicates both a clear boundary and an openness to talk about the impact of your boundary and your inadvertent self-disclosure on the client. My next blog will address the issue of how the personal and professional intersect in the lives of psychotherapists more generally. In the meantime, I hope you can use these suggestions in having conversations about social media. Please email me with comments, questions or suggestions for future blog topics. This entry was posted in Cultural Issues, Preparation and Supervision, Professional Identity and tagged Facebook friends, Social Media, Therapist, Therapy on September 14, 2014 by Diane.